Salon City now offers Silk Press at an affordable price! Salon City now offers Brazillian Blow-Out at an affordable price! 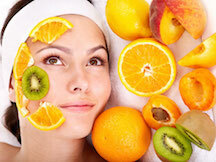 Fruit facials are completed using 100% all-natural fruit. Our treatment will leave your skin glowing and you will walk out feeling refreshed! Come in today to try out this new treatment. 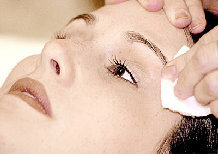 Eyebrow threading is a revolutionary, quick, and relatively painless way of ridding the face of unwanted hair. It can be done on the upper lip, lower lip, eyebrows-- well, virtually anywhere on the face! Henna tattoos, or Mehndi, is the ancient Indian art of temporary body painting. After Henna is applied in a shape or pattern of your choice, it is left to dry for a few minutes. It is then washed off, leaving a beautiful brown image of the original art. 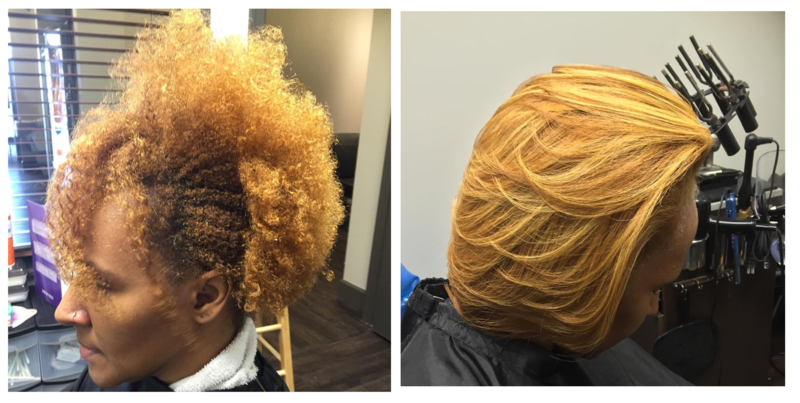 Salon City offers all sorts of great haircuts, styles, and coloring for affordable prices. Our talent head cosmetologist has years of experience working in over four different beauty salons. This has led us to the creation of the mantra "Low prices, great cuts!" 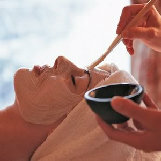 Facials deeply cleanse the skin and exfoliate dead skin cells, leaving a rejuvinated and fresh sensation. Facial polishing works in the same way, giving the face an even more radiant glow. We also offer the Shahnaz Hussain Gold Facial. A mixture containing gold is applied to the skin, resulting in amazing, rejuvinating results. Give your nails the royal treatment at Salon City for remarkably low prices! Whether you want a manicure (treatment of fingernails) or pedicure (treatment of toenails), you can expect great results either way! 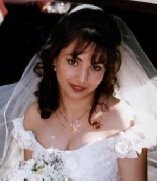 Before your wedding or party, come to Salon City for a spectacular make-over that will surely stun your guests. We especially encourage Indian/Pakistani brides to visit before their shadis. Leave an impression that will last a lifetime with your guests. 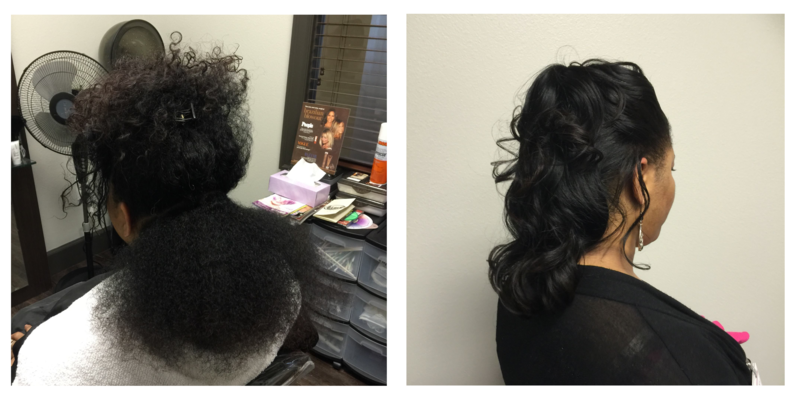 A perm from Salon City will get your hair to be as curly you want it to be. If you are looking to accent your hair with streaks of any color, whether it be brown or red or even green, Salon City is the place to go! Japanese Hair Straightening is a wonderfully effective technique to turn frizzy or curly hair into a silky, shiny, and permanently straight hairdo. 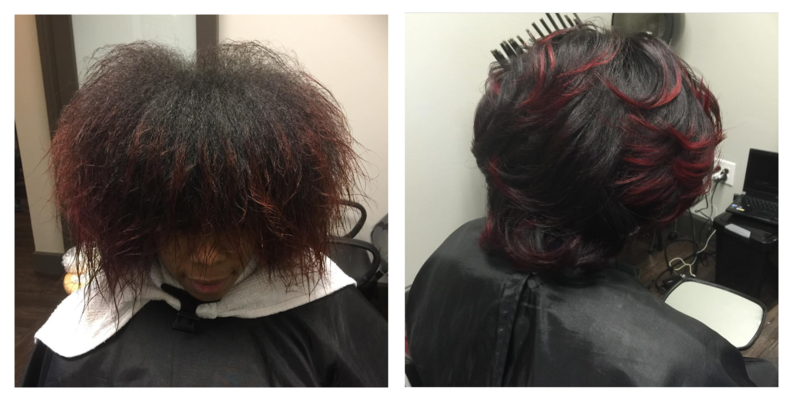 If you want to turn your curly hair chic and straight, come into Salon City today! The Revitalight Skincare System is a safe, but effective use of advanced light technology designed to help diminish the visible appearance of fine lines, wrinkles, and age spots on the face, neck and hands by promoting collagen firmness. Developed by electronic engineers working in conjunction with dermatologists, the Revitalight Skincare System uses photopulsation technology allowing people to have an effective and safe, non-invasive cosmetic skin care application in the comfort and convenience of a salon or spa.